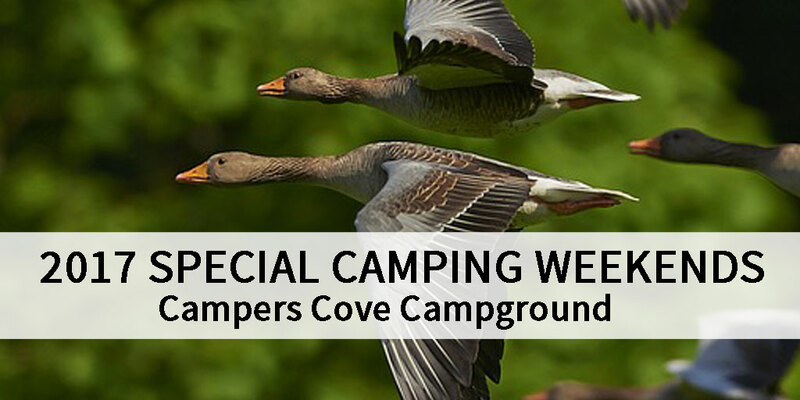 Did you know we offer a variety of Special Camping Weekends at the campground? We plan dates throughout the season that may be of interest to some campers. Our season starts out with a great opportunity for individuals that love to bird watch. These special weekends are popular, so if you see one that may meet your camping needs, it’s always a good idea to reserve early! Campers Cove is a camping resort located on the shores of Lake Erie in Wheatley, Ontario, with over 1200 feet of sandy beach to enjoy and less than one hour from Windsor/Detroit/Chatham. We are just minutes from attractions such as: Point Pelee National Park, Wineries, Colasanti’s Tropical Gardens, Jack Miner’s Bird Sanctuary. Golf, Fishing. At Campers Cove we stress a clean campground that is inspected and rated by CAA/AAA and Good Sam. We are looking forward to having you as our guests!